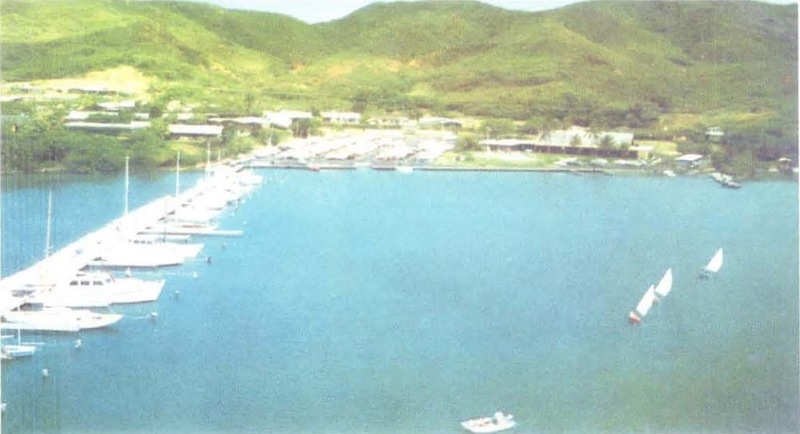 The Kāne‘ohe Yacht Club was organized on October 28, 1924, with the original Club site on the western side of Kāne‘ohe Bay. Opening ceremonies at the present site were held on December 17, 1955. Reportedly, Kāne‘ohe Yacht Club is the oldest Yacht Club in Hawai‘i, in terms of continuous service. When we were kids, KYC and the Bay were our back yard. Our house was about a block away. An entrance gate to the club was at the end of the street of the old neighborhood. A significant milestone and rite of passage in life was turning 10-years of age – it was then that you could go down to the Yacht Club on your own, without adult supervision. We’d keep the Boston Whaler down there, and on a moment’s notice could run down and hoist it into the water for running around the Bay. The Whaler also took us to all other points of interest on the Bay, camping at Coral Island, Kapapa and Chinaman’s Hat (Mokoli‘i;) fishing and diving across the bay; and just general cruising around. In addition to the ski/cruising outboard boat, we first had the Mokuone, then Na Ali‘i Kai, then Lanakila fishing boats and regularly entered the Club’s fishing tournaments. In addition to mooring and dry storage areas, the Club has two tennis courts, a swimming pool and a kid-sized wading pool. And, it has a bar. As a kid, that was some mysterious place that you were forbidden to enter. We’d gaze in to see what was up. I swear, looking into the bar, now, it looks like the same people sitting there sipping their cocktails – they must be the kids of the adults we used to look at. There are swimming and sailing classes for kids and young adults offered throughout the year and plenty to do for the adults, too. I have added a few additional photos of KYC and the area in a folder of like name in the Photos section of my Facebook page.